U.S. Sen. Tom Coburn published a deceptive, hypocritical article in The Washington Post last week that engages in self-serving political gamesmanship. The opinion piece, titled “Why is the Senate stalling debt debate,” May 18, 2011, argues that the Senate is stagnant because of “a lack of leadership and initiative,” but Coburn is hopeful “that in a free and open debate, the best solutions for America will prevail.” The article is cliché-ridden, for sure, a real yawner, but the manner in which it contradicts its own supposed argument is worth noting. Our country is facing the greatest threat to our freedom and future since 1941. This is hyperbole and fear mongering. It’s also polarizing Republican rhetoric. It becomes clear later in the article that Coburn is referring primarily to the federal deficit as our “greatest threat,” but that doesn’t make it any better. How can “free and open debate” occur when it’s framed in such a dramatic fashion? The country faces debt problems, but the solutions are simple: End the military occupations in Iraq and Afghanistan and rollback the Bush-era tax cuts for the country’s wealthiest citizens. The article doesn’t even mention the military actions and the only (sort of) mention of taxation comes in its conclusion that people want a budget plan “that favors spending cuts over revenue increases but includes both.” Is that even true? What is true is that people want the rich to pay more in taxes. A recent poll showed that 60 percent of its respondents favor raising taxes on the rich. This country doesn’t have a deficit problem; it has an oligarchy problem. As of this week, the Senate has held just 72 roll call votes this year, about one per legislative day on mostly noncontroversial and inconsequential matters. By this time last year, we had taken more than twice that number of votes (152). By this time in 2009, we had taken 192 votes. If we continue to avoid tough choices, we will lose control of our economic destiny and go down in history as the Senate that lost America. Our epitaph will read: Never before in the field of legislating was so much ignored by so many for so long. It’s simply laughable that Coburn, known as “Dr. No” for his legislative holds would criticize the Senate for inaction. Impeding progress and stifling Democratic opposition has been the center of Coburn’s political grandstanding. Suddenly, he wants to take votes. Really? It seems highly unlikely. 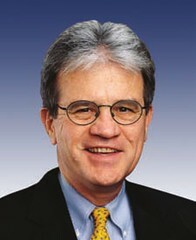 At one point, dating back to 2007, Coburn had holds on 95 bills. It takes 60 Senate votes to overcome a hold. Coburn’s political grandstanding-he can only get away with it because of the approval of the state’s corporate media-is precisely the type of political gamesmanship that makes it difficult to find compromise. Coburn is the epitome of partisanship and obstructionism, not the answer to it. According to media reports, Coburn recently quit the “Gang of 6,” which was a group of six Senators, three Republicans, three Democrats, who were supposedly going to find a bipartisan solution to the budget and the deficit. The article mentions that the group is at an “impasse,” but it doesn’t really get into specifics. So let’s be clear: Coburn is quitting debate and placing holds on legislation, but he’s arguing in favor of debate and voting on legislation. As the Senate majority leader, Harry Reid bears special responsibility for failing to direct attention to the central challenges of our time. His floor strategy seems to be focused on saving Democrats more than democracy. How can you have “free and open debate” under the framework of this type of political rubbish? What’s the point in attacking a particular individual if the point is bipartisanship and real debate? Note “saving Democrats more than democracy.” It doesn’t get more politically crude and exaggerated than that. Maybe Reid faces Coburn’s “special” wrath because he’s from Nevada, which is also home to former U.S. Sen. John Ensign, who has been described as a friend and spiritual confidante of Coburn’s. Ensign resigned before a Senate ethics report was released that claimed he might have violated rules and even federal laws when his former mistress, Cynthia Hampton and her husband, Doug, received a payout. Both Hamptons once worked for Ensign. The report showed that Coburn was involved in negotiating a payout with the Hamptons’ attorney. There’s no mention of the Ensign affair in the article, of course, and, yes, it’s a different issue. But why in the world did The Post give Coburn so much space and political credibility right after the report was released detailing his specific role in the affair’s ugly aftermath? Why did the newspaper allow Coburn to blatantly attack a Democratic Senator on political grounds right after it became ultra-clear he tried to help a Republican Senator manage his post-affair disaster response, according to a government report? Isn’t there a judgment issue here? Maybe Coburn should have published an article outlining in more detail his actions in the Ensign case. That would have been honorable and, well, at least a lot more interesting. Coburn’s article should get inscribed with gold enameling in the Annals of Hypocrisy, but instead it will be considered Serious and Statesman-like. This is why our political system is broken: Coburn gets a stage for political rubbish while rational people with rational ideas have to fight to get their voices heard.